How is Blockchain empowering the IoT ecosystem? Back in October 2016, three hackers successfully targeted over 3 lakh IoT devices with Mirai Botnet that produced uncontrollable traffic at the rate of 1.2 trillion bits per second. The infamous DDoS attack that crippled Netflix, Twitter, Airbnb and 70 other website giants continues to haunt the IoT community as concerns over data security propel. However, with decentralization gaining massive traction, Blockchain’s integration with IoT has likely outcomes, and enterprises are pushing the limits to achieve long-term benefits. Gartner predicts that the worldwide IoT spending will reach 3.1 billion USD in the next three years. Especially in the resource engagement and supply chain industries, companies are already using Blockchain networks to fortify IoT devices from infiltration attempts. Since IoT thrives on a low power security network to monitor physical operations remotely, an underlying decentralized system actualizes the needed ecosystem wherein data streaming is distributed over a network of nodes. However, the Blockchain influence doesn’t end here. Beyond enhanced security, networks are streaming IoT data while others are monetizing IoT services over a distributed network. Resource crunch in emerging technologies is a leading hindrance, and IoT is no different. 57% of the surveyed IoT executives confessed that their company wasn’t training their staff in the emerging technologies, while 43.4% skipped essential vulnerability testing phases. This shocking revelation for the IoT World Study has doubled the demand for on-contract IoT consultants who can engage with organizations on a project basis. Project bidding platforms are the most common examples of peer-to-peer engagements and the invaluable support from an underlying Blockchain network can resolve the crux of resource shortage. That is, Smart Contracts can let IoT developers engage directly with available projects, minus any interference from a 3rd party setup, as verifying contractual conditions and audit tasking is entirely automated. The Hurify platform has an innovative approach to monetize IoT services via Smart Contracts. Post-signing-up on Hurify platform with complete professional details, including the specialization experience, any certifications, and the previous projects done, developers can access all broadcast messages inviting potential bidders. Subsequently, after the client has finalized the resource, a multi-signature escrow is used to hold the HUR token that is released as soon as the project is completed. Once confirmed by mutual signatures, the certificates are issued to both the parties, attesting successful completion. Not many of us could imagine that the energy produced from millions of IoT devices could be put to productive use. A Blockchain network can help device-owners monetize the energy generated for crypto-tokens. Similarly, the device owners can monetize their data generated from sensors. 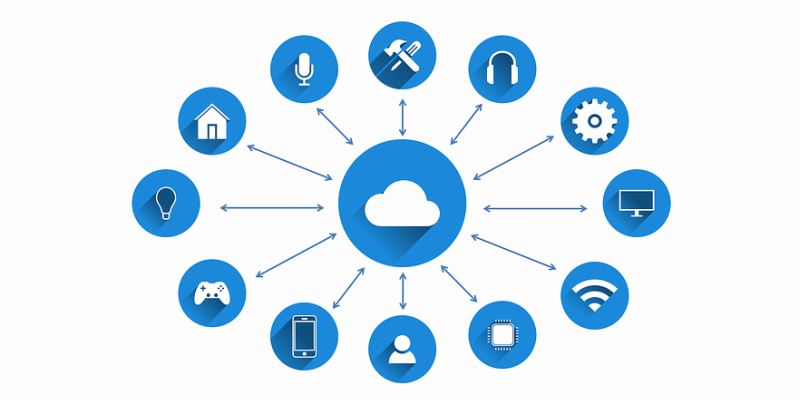 IoT connected devices have been used to track a consignment of packages in transit across the supply chain network. However, live and accurate status could never be achieved due to the presence of a central point of control. Blockchain-based ledgers have been used to communicate with RFID based devices that validate the Smart Contract at every distribution point. That is, as the package crosses different points, the location, temperature, and other external conditions are instantly updated on the Blockchain, allowing all parties to exchange the status of the product and ensure that the contract is in compliance. Moreover, IBM’s IoT platform, ‘Watson’ lets create private business networks, wherein, anything of value in trade can be tracked. There will be 119.3 million IoT security units in the European Union by 2025, while Smart homes will spearhead the IoT era. Taking an impressive leap from just monitoring the devices remotely, IoT will mean much more. From washing machines that’ll automatically order and pay for detergents to audio/video devices shutting down when you fall asleep, automation is all set to get mainstream. Amidst such anticipation, Blockchain can revolutionize the security of IoT ecosystems at home by streaming biometric data on private distributed networks; and that’s precisely what we need for a safer world of machine interactions.